A popular recreational lake, there are numerous state and county parks as well as waterfront resorts. The communities of Burnet, Buchanan Dam and Tow offer many tourist attractions such as wineries, antique shopping and historical sites. Visit our area Chambers of Commerce for more information. 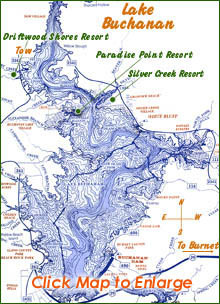 I work out of Paradise Point Resort in Tow, but will pick up at most resorts on Lake Buchanan. Please contact me at (325) 379-1340 or (325) 423-1334 to make arrangements. 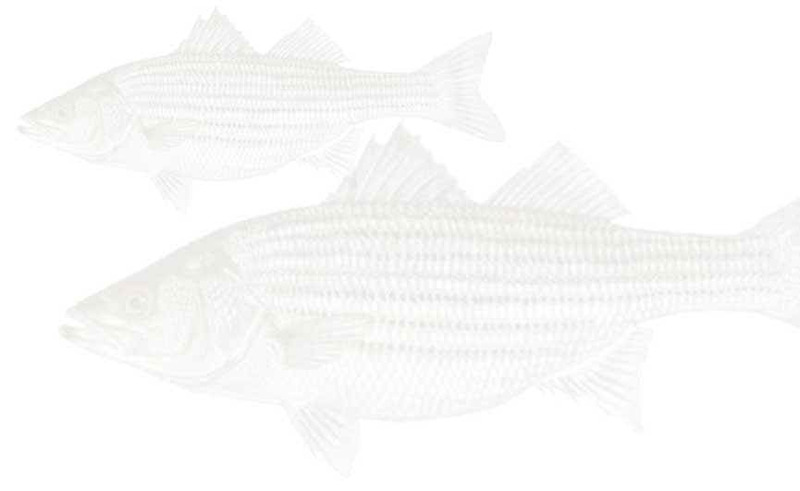 Striper fishing on Lake Buchanan - It doesn't get much better than this!